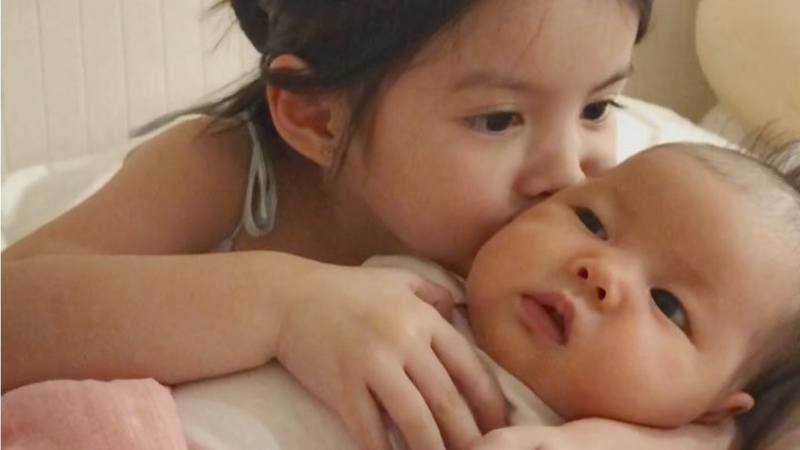 Whenever Andi Manzano posts about her newborn “xiao long bae,” Amelia Manzano Reyes, we just want to take a bite of those fluffy cheeks. Turns out big sister Olivia Manzano Reyes feels exactly the same way! In this video, Olivia boops and pretends to take bites of Amelia's cheeks. Amelie, Olivia’s nickname for the one-month-old bb, apparently smells like butter and choco chips! So cute, WE CANNOT.